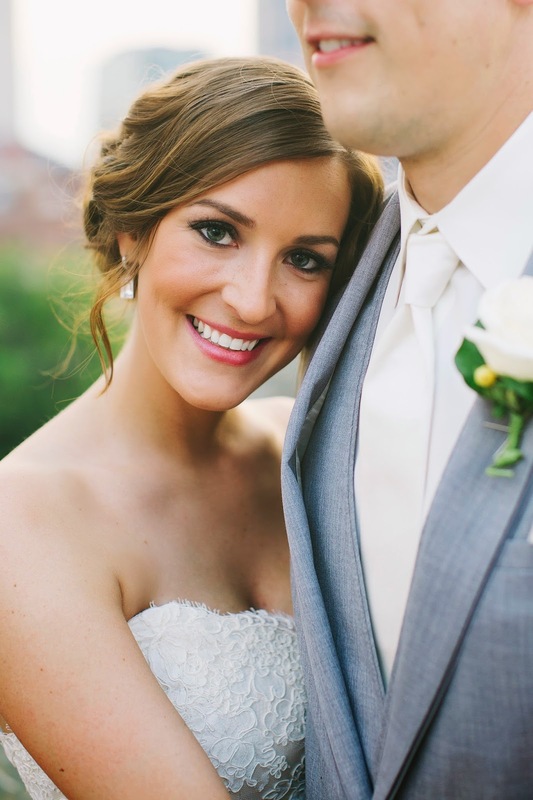 This spring I had the pleasure of working with Stephanie and Brent, designing their wedding invitations. 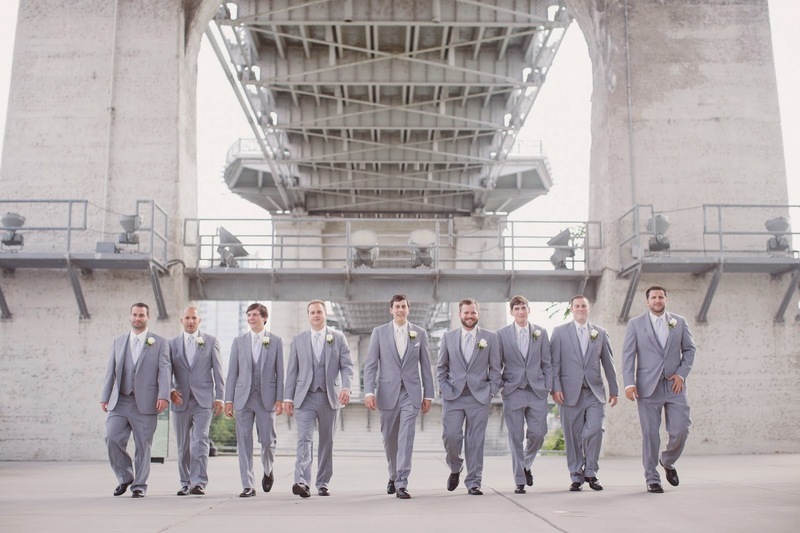 They chose our Classic wedding invitation suite printed thermography in gray on white linen. 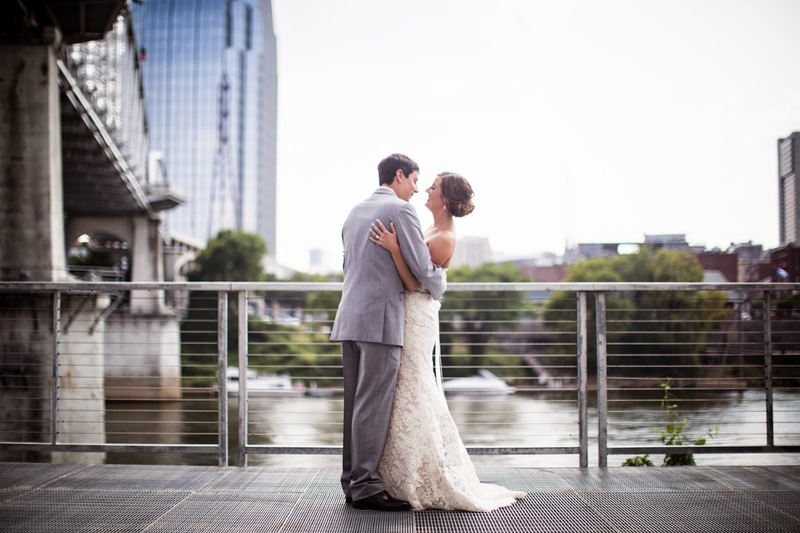 I am so thrilled that they have sent over photos of their big day to share! 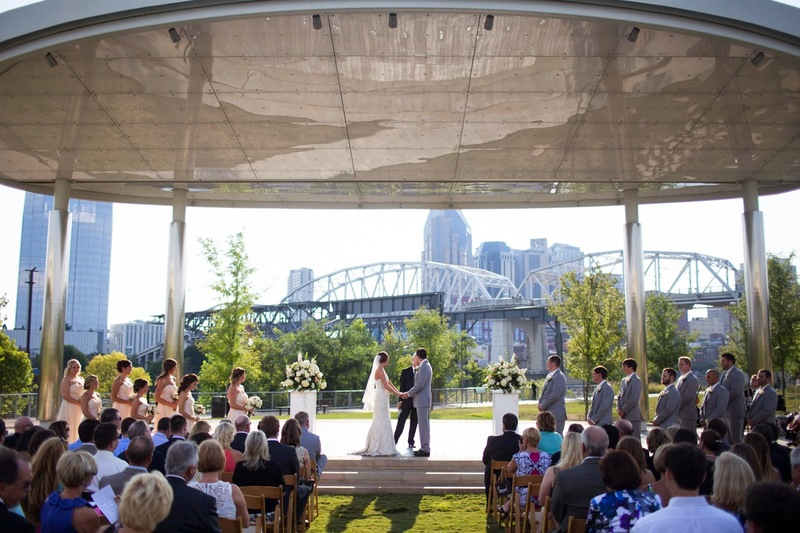 Truly a gorgeous day and such a beautiful venue! 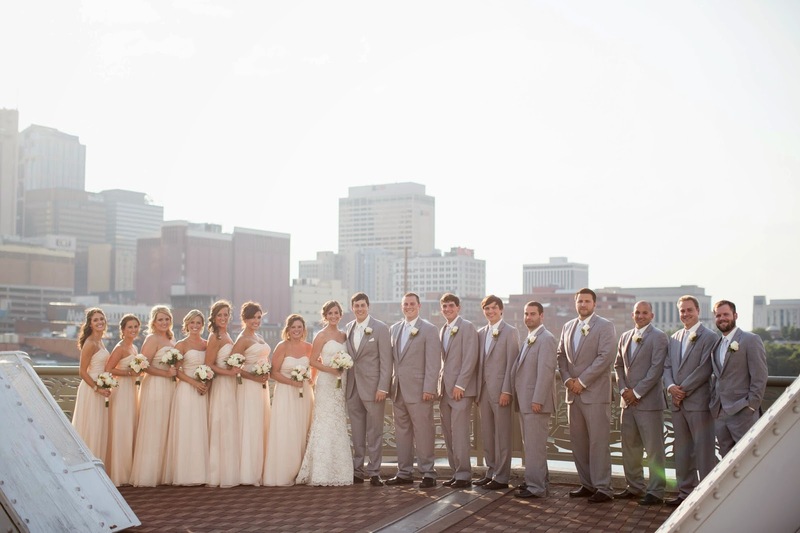 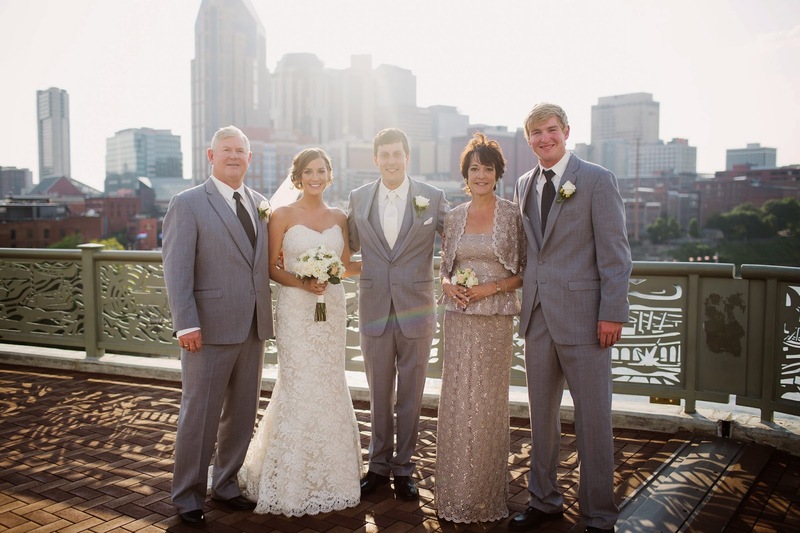 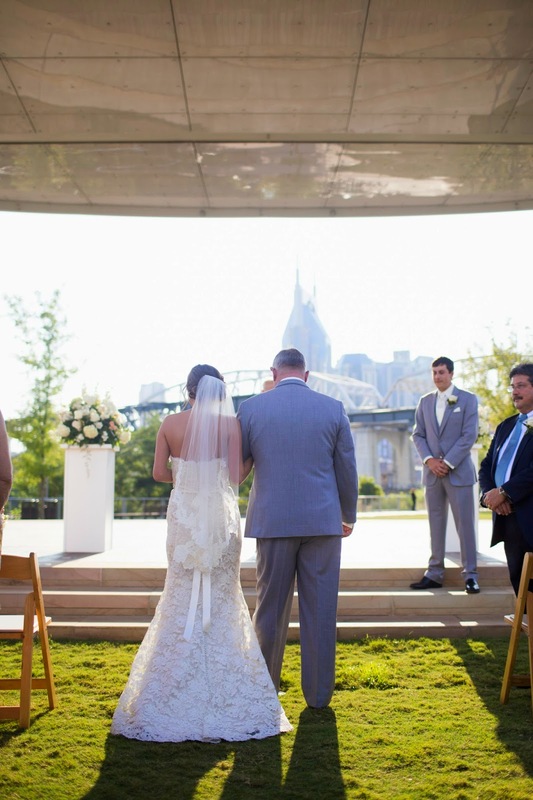 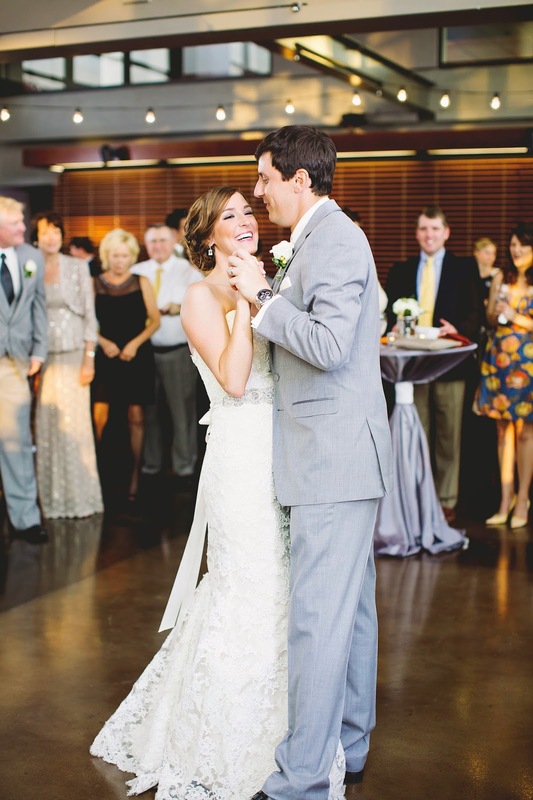 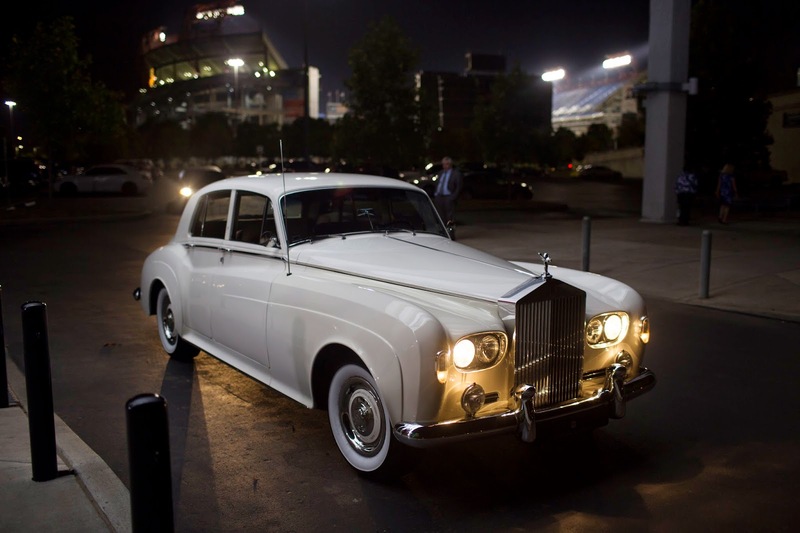 Their ceremony was at Cumberland Park in Nashville and the reception was just 50 yards away at the Bridge Building. 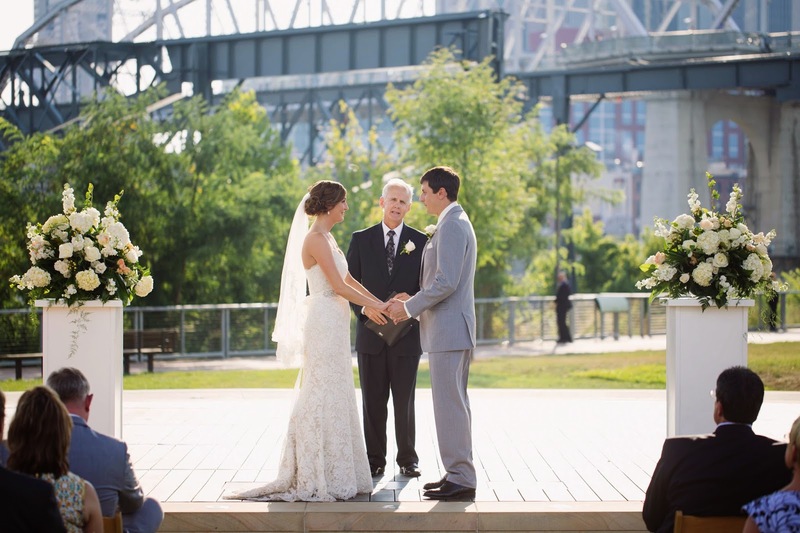 Their photographers, Dreampop Media out of Charleston, SC, did a fantastic job capturing the uniqueness of the city and bridge back drop. 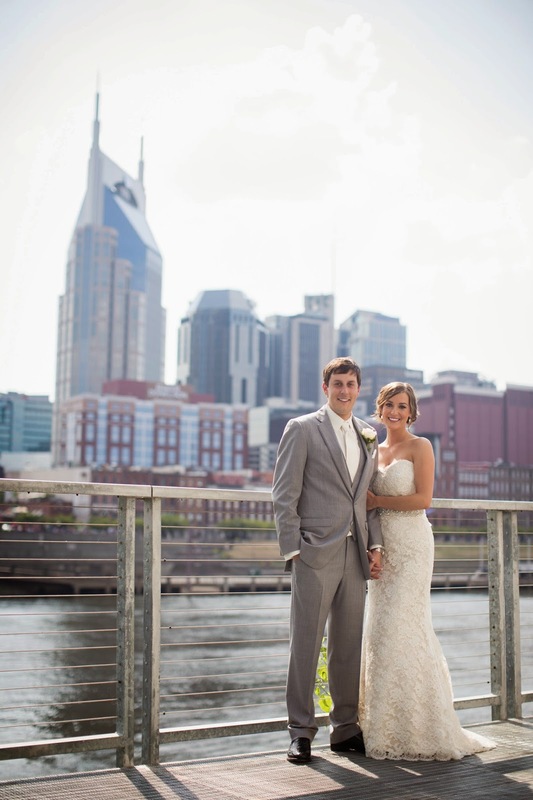 Congratulations to these newlyweds & thank you for sharing your absolutely lovely wedding day with us!